November 2018: find tips about setting up your own business, read about what kind of insurance you might need, and take advantage of our special book discount from Thames & Hudson! You can also hear from CSD members Sarah Townsend-Elliot MCSD and Chris Goodwin MCSD (Graphic) Chartered Designer. October 2018: Read about why networking is important, find out about upcoming events and competitions, and read about CSD Members Sam Stokoe MCSD (Interior) Chartered Designer and Mark Hester MCSD. September 2018: Find out about our time at the London Design Festival, read about CSD members Ben Backhouse MCSD and Denis Mallet MCSD, and take advantage of great offers for Grand Designs Live and on your insurance! 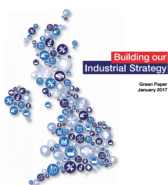 March 2017 - Industrial Strategy Green Paper. Members Profile: Jessica Standing MCSD. Members Profile: Mike Harkins MCSD. Food & Technology: Part 3. CSD Q1 2017 Design Business Survey. Events.